Have you ever heard of Operation World? It’s a great book that highlights the prayer needs of each country in the entire world. If you want to help your kids have a heart for the world and evangelism, this is a great way to help them think with a global mindset. 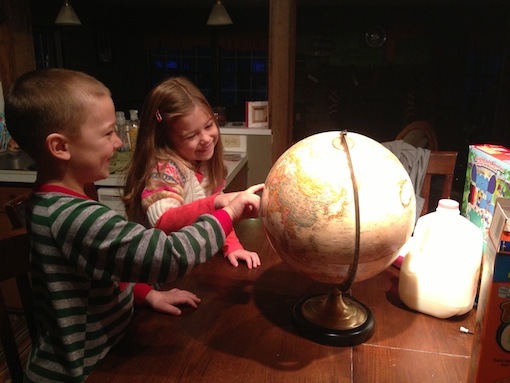 Buy a globe, find the country, look up pictures of the people and the landscape on your iPad and then spend time praying together as a family. One of our prayers for every single retreat or summer camp we hold is that the world will be impacted by what happens. We love when we hear of people who are called into the ministry through the work of Miracle Camp and Retreat Center. This happened at Man Camp in 2011 with the Master’s family. Pick up your own copy of the book today and start praying around the world with your family!